For more information call 801-393-1075 to contact International Armoring Corporation. 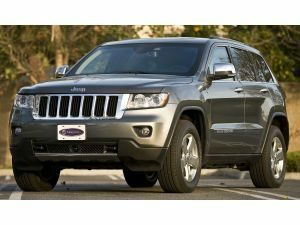 From the outside, the gray 2013 Jeep Grand Cherokee looks almost identical to any other Grand Cherokee fresh from the showroom floor. But look closely, and its exhaust is grated to prevent the insertion of hand grenades, its doors heavy with reinforcement to resist rifle fire. The windows are two inches thick and shatterproof. And its tires? Run-flat Michelins. As the hand gun debate heats up in the tragic aftermath of the Sandy Hook shooting, another industry is quietly percolating: Armored cars. An armored Jeep Grand Cherokee by International Armoring Corporation from the outside looks like any other Jeep but this can can resist attacks from AK-47’s and rocket propelled grenades. “You can shoot this Jeep all day long with a 44 magnum,” said Mark Burton, chief executive of International Armoring Corp. in Centerville, Utah. International Armoring is one of a handful of U.S. companies that armor passenger vehicles — most often for foreign customers who live outside the U.S. There are, however, occasional American clients, such as a So Cal business executive who often travels to Mexico, for whom Burton was in Orange County recently to deliver the up-armored Jeep. Each year, about 250 Americans have their passenger vehicles armored, Burton said. Over 25 years, International Armoring Corp. has armored vehicles for the U.S. government and 41 heads of state worldwide, but armored cars are no longer the domain of the wealthy and powerful. “Now it’s moved down the pyramid to a much bigger base,” said Burton, who says demand is greatest in Brazil, South Africa, the Philippines and Mexico, where corporate executives are often targeted for kidnapping at the hands of criminals wielding high-powered guns. Jeeps are especially popular for the Mexican market “because they blend in,” said Burton, who has sold more than 750 armored Jeeps in Mexico alone. It takes about 600 hours to strip the SUV to its skivvies and armor it to a level of protection that can withstand hand grenades, a 12-pound land mine or rifle fire from the now infamous AR15 and other assault rifles, Burton said. International Armoring Corp. uses a lightweight, bulletproof material called Armormax to reinforce the passenger compartment. Designed to protect passengers while retaining the vehicle’s original appearance and performance, armoring adds 850 pounds to the Jeep’s 4,700-pound curb weight and $72,500 to the vehicle’s $38,000 base price.